The cover was done by Nick Bueltge (thanks!). Click on it to see the full-res version. The music is distributed under a CC-BY-NC-ND 3.0 license. I think it came out halfway nice, but if some engraving jedi among you wants to try his hand at improving the layout, be my guest. That’s it, I hope you like the music! All of these files can also be found on my website. If you have any questions or suggestions that don’t fit in the blog comments, just drop me a line or catch me on Twitter. This entry was posted on Wednesday, October 20th, 2010 at 2:55 pm	and is filed under Goodies, News. You can follow any responses to this entry through the RSS 2.0 feed. Both comments and pings are currently closed. this is awesome! lov you guys! Nice…and where can I buy it? AWESOME!!!!!!!!! THANKS!!!! YOUR WORK RULZ!!!!!!!!! As always, great works, Jan! Thank you and keep going on! Dope!!! Thankx for the FLAC filez! But I had some issue about the music video. I’m a such a nag, that I went to criticise it on BlenderNation, but comments are usualy dead quickly there, so probably not many people noticed. Basically my opinion is, that there could be retrieved more out of the given material. While I watched the video I had a feeling, that the video doesn’t react to the music oftentimes. And sometimes I feel it as really disruptive. “I Move On” Is beautiful; I’ve liked it so much that it’s all I’ve listened to, so I haven’t heard the rest of the songs yet! =) I’ve been singing it all of yesterday and today. I think the cover image has too much glow. Thank you Jan for the Lilypond – file this was a great inspiration! After I have seen a real example of the good quality of Lilyponds’ typeseting quality, I gave myself a kick to learn Lilyponds’ syntax: I rewrote a single voice from a orchestral score because I didn’t have the single voice available and didn’t want to turn pages so often when playing. Jan… “I move on” f*cking kills me. Thank you for that song. Ein verdammter Erste-Klasse-Ohrwurm, und der erste und bisher einzige Song, den ich je im “single Repeat” laufen lassen habe. Mach ne Single draus und ab in die Charts damit! Great work. Really epic, and i love it´s huge dynamic range.. can´t wait to see some footage of you telling something about the making of it. Hope you made a sh*tload of bonus stuff for the DVD? I love the music especially I Move On (Sintel’s Song). I think “non-commercial” clause prevents songs from being used in lots of good spaces. They can’t go into wikimedia commons, they can’t be played in radios, nor played in podcasts having sponsors/ads, or being played as covers by other bands. A lot of “cases of abuse” can be stopped well with the “share-alike” clause. This way, if someone makes an advertising video and uses your music, it is forced to release it under the same conditions. Otherwise, they have to contact you for a licence exception, causing the same effect than “non-commercial” clause. I’m actually studying music in school, and would be so grateful if you had a copy of the score (written score, that is, as opposed to audio files) that I might be able to study? What did you write this with? Are these live performances or just some really good use of ProTools? Do you have your own in-home studio? Once again, THANK YOU. This is incredible/beautiful/inspiring/wonderful! You may have to forgive me because I’m a bit late to the game, I only heard about Sintel from CartoonBrew’s fairly recent news story. I am now a proud owner of the DVD and have just put the score onto my ipod :o) It is a fantastic score and does precisely what a good piece of film music should do, elevate the emotion. Having watched the DVD, paying specific attention to the making of, it seemed a shame that no mention was made of the composer and voice cast and I wondered if you might be able to correct this on the website (assuming that I haven’t missed it somewhere)? Thanks, I look forward to the teams next project with eager anticipation. I’m another to say thanks for the FLAC, but also thanks for the wonderful music. Nothing like the right music in a film to pull at the heart strings. Thank you so much for the soundtrack, I love it so much. I enjoy singing I Move On it is such a beautiful song. I recorded myself singing and I would like to put it on YouTube but I would prefer to ask first, is it OK if I sing your wonderful song and publish it? I please to share a French version of your beautiful song which stays all the day long in my mind from many weeks. I really enjoyed playing with LilyPond to do this task. Hoping someone will try to sing this version. Is there a copy of the sintel font I can get my hands on? Everytime I see a new image uploaded it always has some new characters writen in the sintel font so this led me to beileve an entire font has been made!? If so could you please post a link or email me the link (you guys have my email 😉 nudge nudge wink wink). I’m involved in a film-association called ISC cinéfeel based in Paris. and promoting cinema to a larger audience. If you guys are interested, you can email me back as soon as possible. Thank you very much for this amazing work. I love the animation , the soundtracks & everything in this fabulous short film and I love the credit’s song very much. It’s such an amazing song. 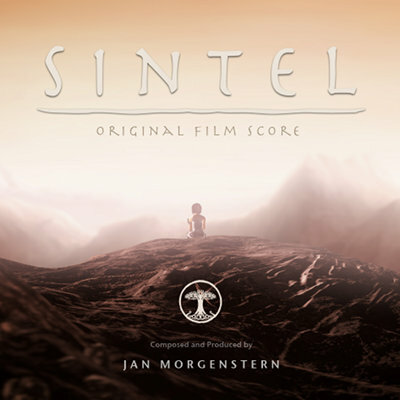 Sintel genuinely changed my life, and I can personally relate to the story (growing up)… which only made it a harder strike at my heart, when I watched it for the first time, than for others who merely sees it as a sad story. The soundtrack is stunningly well made and especially Sintels song is worth mentioning. It’s so full of meaning, and does, like other people say, do very well in capturing the whole point of the movie and compressing it into a relatively short piece of music. Every time I hear it (or sing it, as I’ve been doing for the last cuple of days) it’s like watching Sintel all over again. Fortunately this revelation does, as for Sintel in the movie, give one a chance at a fresh start… a chance nobody should waste. Thanks very much! I love this soundtrack! It’s very very well made. (sorry for my english 😛 ). Really great work! I love them ! Thank you so much! I love Sintel and I specially love your music. I have to say that I admire you, and Helena´s voice is amazing. I have been listening to the song hours and hours, once and again and I just wanted to play it at keyboard. Thank you very much, Jan. 🙂 I love the soundtrack.